Joel F. Harrington on the life of sixteenth-century executioner Frantz Schmidt. Frantz Schmidt (1554-1634) killed 394 people and flogged or disfigured many more during his 45-year career as an executioner. But he was not a monster. To the contrary, he was a sober, reliable family man, one who reluctantly pursued his vocation. In “The Faithful Executioner” (FSG), author Joel F. Harrington recounts Schmidt’s life story—relating how he was born into the dishonorable profession, why he could not escape it, and how he pursued a lifelong quest to restore his family’s honor. Much of what we know about Schmidt comes from the 621 entries in his diary, which chronicles all the capital punishments he administered from 1573 forward, as well as all the corporal punishments—including the chopping off of fingers, ears, and tongues—he performed from 1578 on. By all accounts Schmidt was a highly competent executioner (employed for most of his career by the city of Nuremberg), yet he wanted nothing more than to leave the profession behind and become a doctor. 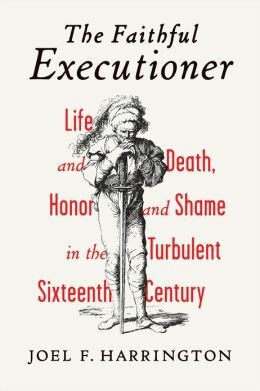 In the following interview, Harrington, a professor of history at Vanderbilt University, discusses what life was like for a sixteenth-century executioner—and in particular, Schmidt. One thing we don’t learn is whether emperor Ferdinand II accepted Schmidt’s late-in-life petition to get his honor restored—and whether his children escaped the stigma tied to their father’s line of work. For that you will have to read the book, which effectively transports the reader back in time to an era that typically seems distant and unfamiliar. How did Schmidt come to be an executioner? His father was a woodsman and they lived in Hof, in northeastern Bavaria, where there was a tyrannical prince that everybody hated. The prince uncovered a plot against his life and was going to have three locals executed. They didn’t have a standing executioner and the prince, in a crowd, said to Heinrich Schmidt, Frantz’s father: You! You are going to hang these guys! Heinrich replied, I’m not going to do that. The prince said: You hang them or I am going to string you up instead, as well as the two men standing next to you. So Heinrich did it. And once he did it there was no other job. Nobody wanted to have anything to do with him. He and his children were condemned to the occupation. Tell me more about how the profession was viewed by the public. Traditionally, it was odious. In Frantz Schmidt’s lifetime there was more of a mixed feeling—that it was important work that needed to be done by a professional. But no one would want their daughter to marry an executioner. So there was a kind of professional respect but it didn’t translate into sociability. An executioner could not go into somebody’s home, or into a tavern or public bath. Most churches wouldn’t let an executioner inside. So it was a really lonely life. What did Schmidt have to do to prove his proficiency as an executioner? He had to be proficient in interrogation, which involved torture and using the right amount [of torture] so that you got information but didn’t seriously injure or kill the person. There wasn’t a formal test, though in the eighteenth century in Prussia they had both a written test and a performing test. It was more like a craft—like everything else at that time, where you apprenticed with somebody. Frantz apprenticed with his father, and then he did his masterwork—his first execution. Then he had to get experience as a journeyman, and finally he got his position as a master. Did his diary serve as a résumé? It’s not really a diary in the modern sense. It starts out more like a résumé. Then after five years as a journeyman he gets appointed to a permanent position in Nuremberg and he starts telling more. You get different perspectives and there’s dialogue. I think the original purpose was as a résumé, but he was an executioner for 45 years and like anybody, he changes. When he’s older he’s more interested in why people are committing crimes. Or he registers his disgust or sympathy. Whereas when he’s a young man he just wants to get a job. What was Nuremberg looking for in an executioner? What did they like about Schmidt? Well, he had a good record. He had been working on his own and had lots of good recommendations. He was professional in that he executed without mistakes and he was discreet. He also was loyal and lived a clean life. One of the dramatic things he did was to give up drinking, which is incredible for the sixteenth century. Everybody drank. I mean, John Calvin drank. And executioners had a reputation for being drunks. A lot of them drank before, during, and after the execution, which often affected performance. One way to underscore that he was a very sober executioner and help his reputation was to give up drinking. I think he was—as much as you can tell about anyone from four hundred years ago. He was Lutheran and seemed to be genuinely pious. He seemed to feel that he was performing a religious function in the way of helping the families of the victims and helping the condemned people to save themselves—to be sorry and ask for forgiveness so that they could go to heaven, as opposed to dying unrepentant. Can you paint a picture of what it was like at a sixteenth-century execution? There were a lot of local variations but the essentials were the same. On execution day [the condemned individual] was allowed to eat and drink whatever he or she wanted. Part of this was practical. They wanted people to be calm; to drink enough that they were calm but not to drink so much that they passed out or couldn’t walk. Then the executioner would come and decide if they were calm enough to proceed, because people were either really agitated or very weak. This was a public spectacle and you needed to have the individual up to it. They would lead the person to the court, where there was a ritualistic pronouncement. Then the prisoner would be led out for the walk from the courthouse to the gallows. Typically people walked. If they couldn’t walk, they would be put in a cart. There would be huge crowds along the way, especially at the gallows. People would be shouting and throwing things. Traditionally the condemned person was expected to put blessings on the crowd and ask for forgiveness. Finally, the prisoner would come to the execution place. Sometimes at the gallows the prisoner would sing a song—their last song—and that would be a dramatic moment. If it was a beheading there was a raised platform with turf on the top—the Raven Stone—named such because ravens would come and eat the body later on. And the prisoner was supposed to say the Our Father, and say some other prayers, and give a speech asking for forgiveness. Then the executioner would do his job. That’s a good death, when everything went smoothly. Not only would the state come across looking strong and authoritative, but the condemned person was supposedly saved because they repented. 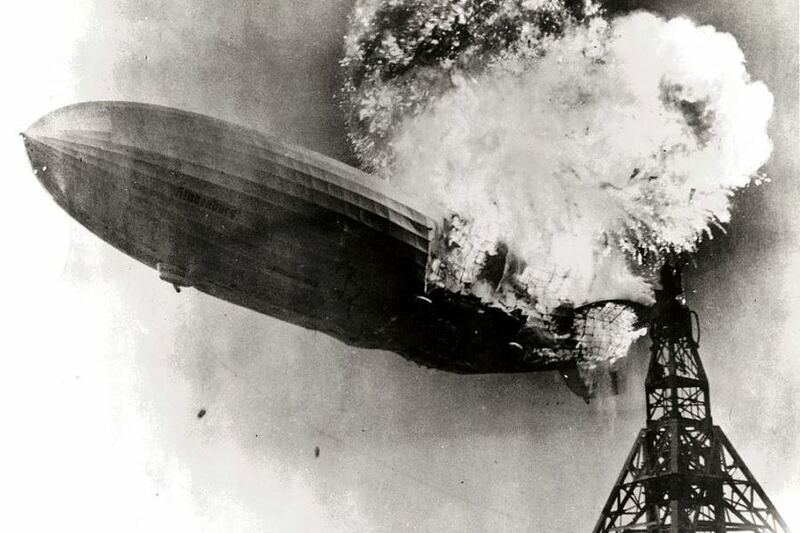 A bad end was when something went wrong at any one of those stages. What I try to convey in the book is that it was a tense time for the executioner, because he was the one who was supposed to make sure everything went smoothly. What would commonly go wrong? The crowd could get too wild and unruly, or the prisoner could be bad. There was one man who was walking along with a bottle and drinking the whole way and spitting on people and when he got up to the Raven Stone he stopped and urinated in front of everybody. Then he climbed on top—still drinking—and Schmidt cut off his head while he was still holding the bottle. That was a bad death. Another bad thing would be if the executioner messed up, especially with beheading. Schmidt had this really long heavy sword. To maneuver it and do it all in one stroke was pretty difficult. Sometimes an executioner would need two strokes. If he needed three the crowd might rush him and stone him for prolonging the suffering. Again, there was a lot of pressure on the executioner. But Schmidt had a 98 percent success rate with the sword. He only required a second stroke a few times. The danger from the legal authorities’ point of view was that people might become sympathetic toward the person being executed and that might make the authorities look bad. They wanted the condemned to say, Yes, the legal authorities are right, I deserve this … and then die. They didn’t want messy deaths. The idea of the public execution was to make a statement. On the one hand it was supposed to be reassuring—a reminder that people get caught and punished. On the other hand it was a statement about state authority, because the state’s authority was not unquestioned. One of the things government officials were concerned about was private punishment—like lynch mobs and private justice. So it was meant to establish their authority. That’s why they felt they needed to have a professional executioner and somebody who had a good reputation—someone dispassionate and reliable, like Schmidt. Did executioners experience personal retribution? Schmidt’s predecessor and successor both had attacks on them. His immediate successor botched several executions and the crowd turned on him. In one case they threw frozen mud balls at him. In rare cases executioners were killed by crowds. So it was a dangerous job and one of the signature parts of the transition to using professional executioners was that they were promised protection [against private retribution]. The legal authorities made it clear that they were working on behalf of the law, not on their own. What did a professional executioner wear to an execution? Schmidt would dress up in the style of the day. He’d have the ruffled collar, a nice jerkin and doublet, and he’d wear bright colored hose. It was not a black sackcloth and hood, nothing like that. This whole idea of a mask … it’s a joke to think that somehow you were going to remain anonymous—that people in a town weren’t going to know who you were. What kind of crimes were people executed for? The reason the execution rate spiked in the sixteenth century was that they were hanging a lot of people for theft, as the government wanted to crack down on thieves. 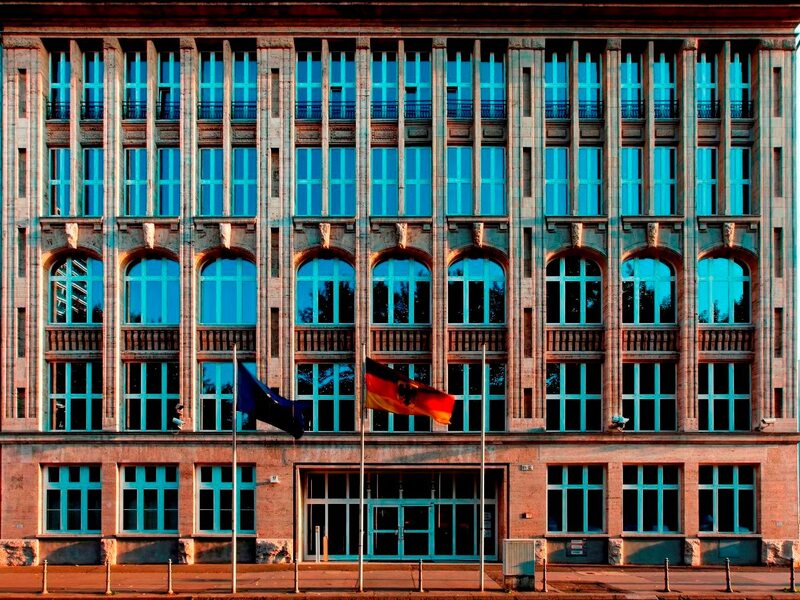 The image you should have of Germany at this time is closer to Somalia or Afghanistan than modern Germany. You had roaming bands of robbers and it was very dangerous. So when someone was caught they were flogged and banished. If they came back to steal again they were flogged and banished again. They would go through this several times until the authorities decided the person could not be reformed—and then they would hang them. They did not have prisons. They only used jails as holding cells. They didn’t have prison sentences because that was considered cruel and unusual. So there was not what we would call a middle road. They would jump from lesser punishments to the most severe punishment. And it was a problem that came about because they wanted to enforce the law more. They were catching and convicting more people but they didn’t have a good option for what to do with recidivists in theft of property crimes. In other places, like France and England, they could deport recidivists—they called it transportation. What about the hierarchy of executions. It seems as if beheading was considered the most humane. Beheading [death by the sword] was considered the best. It was quick but more importantly it was honorable. This is what nobles asked for in this period. After that all the options [execution with the rope, execution with the wheel, drawing and quartering] were painful and humiliating. Was an executioner’s pay determined by the type of execution carried out or straight salary? It depended on the place. Some places did it by execution. But in Nuremberg, because they wanted to make it professional, Schmidt was on a weekly salary. They didn’t want to make it seem like he was looking for executions. He got annual bonuses and got paid extra for interrogation with torture. Sometimes—and this is really macabre—executioners would get paid to torture somebody and then get paid to heal them. Schmidt said he wanted to become a healer. As one of his hobbies, he dissected cadavers. There was a mania for dissection in this period. They were crazy for anatomy and learning about the body. I think he had a genuine interest in those things as well as in healing people and if he could have swung it that’s what he would have done. But Schmidt made a lot of money. He was socially excluded and isolated but he was also well paid. He was probably the best paid executioner in the empire, making as much as a really wealthy jurist [lawyer].And he had a big house that the city provided. Did any of the people he executed stand out to Schmidt above all others? There were these two robbers [see Chapter 5] who were sociopaths—the scariest people he encountered and the ones he writes the most about, partly because they were so awful but also because it helped justify the punishment, as they were executed with the wheel. Schmidt tells the story of how these robbers were hanging out with their buddies and one of the robbers had his whore with him—his consort—and she had a baby. They took the baby and they were tossing it in the air, and then they slammed it to the ground and cut its throat and cut off its right hand. The belief was that the right hand of a newborn male could give you invisibility. So if you walked into a house at night nobody would see you. This disturbed Schmidt, it disturbed people at that time, and it disturbs people today. But I don’t think we’re more or less compassionate nowadays. People got as upset by violence then as they do now. The big difference is our legal structures. We have better law enforcement, better procedures, and we have a notion of legal rights. It’s not like human nature is different. 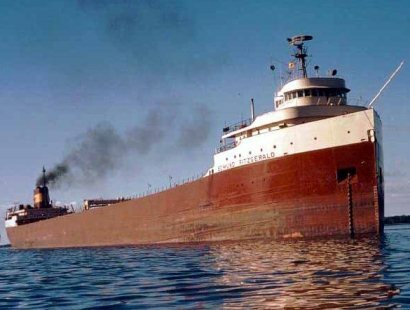 The Sinking of the Edmund Fitzgerald—It’​s the most famous shipwreck in Great Lakes history, and the cause of the disaster remains a mystery.